Congratulations! You’re one step closer to feeling AMAZING. Omega fats are often called “superfats” because of their huge impact on human health. In fact, they’ve been linked to everything from heart health, to body weight, to skin health — meaning they’re as versatile as they are powerful. But even though they’re “key building blocks” to human health, your body doesn’t make omegas on its own — so you need to get them from your diet or supplements. Unfortunately, most diets simply can’t supply the right balance of omega fats to satisfy your needs — that’s where Enhanced Algae Omegas comes in. Enhanced Algae Omegas features a potent blend of omegas 3, 6, and 9 that comes from some of the safest, cleanest sources around — plants and algae. That means, unlike krill or fish oil, this unique formula is safe for people with seafood and shellfish allergies and aversions, and people concerned with the health and purity of our oceans. We stand behind every single one of our products, and we want you to feel as good about them as we do. That’s why your purchase is protected by the ActivatedYou™ Promise. 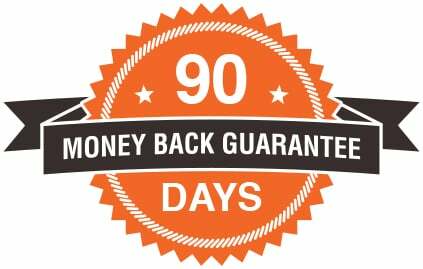 If you’re not thrilled with your purchase for any reason, simply return it within 90 days – used or unused – and our top-notch customer service team will issue you a refund, no questions asked. WHO SHOULD USE ENHANCED ALGAE OMEGAS? 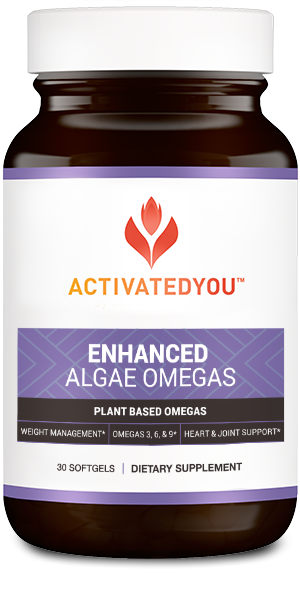 Enhanced Algae Omegas is a powerful formula designed to help anyone who wants to experience lasting full-body health. Remember — even though omega 3, 6, and 9 fats are key building blocks for your health, your body doesn’t make them on its own. So if you want to enjoy a long, healthy, active life, it’s important you supplement your diet with the proper balance of omega fats. HOW SAFE IS ENHANCED ALGAE OMEGAS? Enhanced Algae Omegas is safe for you — and the environment. Safety is our number one priority here at ActivatedYou™, so all of our products go through rigorous testing for quality, purity and potency at an independent, 3rd-party facility. Plus, because the omegas in this formula are derived from plants rather than krill and fish, you can rest assured that you’re doing your part to help our oceans, and protecting your body from ocean-borne impurities, too. HOW SHOULD I USE ENHANCED ALGAE OMEGAS? It’s easy — just take 1 capsule of Enhanced Algae Omegas each day, with a full glass of water. I suggest taking it at the start of the day, with breakfast, to start each day right. And if you’ve ever struggled with the “fish oil aftertaste” — don’t worry — this plant based formula won’t have that same fishy finish! WHAT IF ENHANCED ALGAE OMEGAS DOESN’T WORK FOR ME? We’re proud of our products so we stand behind them, 100%. That’s why Enhanced Algae Omegas is covered by our 90-day ActivatedYou™ Promise. If you’re not thrilled by your results for any reason, just contact our customer service team.